People go to China on business; if adventurous, to see the Forbidden City. But were I to go on a honeymoon I’d consider China. China, among the world’s four oldest river valley civilisations, is a mélange of UNESCO sites, offering an assortment of exotic escapes into pristine havens serene and stunning. We tell you 8 places that will augment your conjugal bliss and give you a lifetime of memories to look back upon, as you link your arm with your partner’s and explore the country. Beijing is a city of legends, fierce about its immense heritage, majestic in its ambition and incarnate in its monumental imperial plethora. Only, in China, a city isn’t a city but a palace (the Forbidden City is a palace complex of almost 1,000 buildings spanning 180 acres). 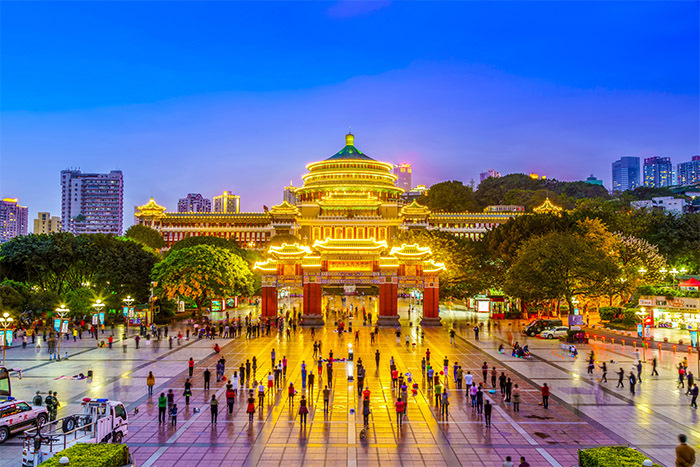 It boasts the largest collection of the world’s preserved wooden structures and the Palace Museum is one of the world’s most-visited art museums. The Summer Palace is the best preserved imperial garden in the world. A mosaic of lakes, gardens, and palaces, this is China’s largest royal park. 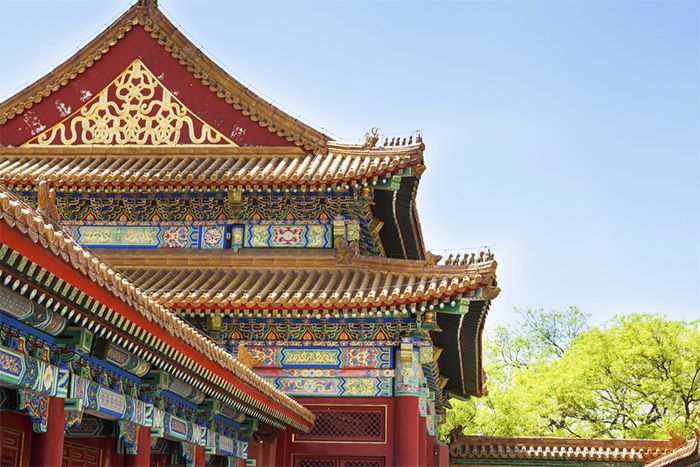 Withdrawn from the frenzied metropolis of towering and gleaming high-rises, the elegance of the Ming Dynasty reigns at the Aman chain of hotels in precincts with courtyards, pathways, gardens, wooden screens and Ming Dynasty-styled armouries. If you’ve had enough Peking duck in the city’s gourmet restaurants, then at Naoki, famous chef Naoki Okumura serves authentic kaiseki fare fusing French techniques into Japanese artistry. 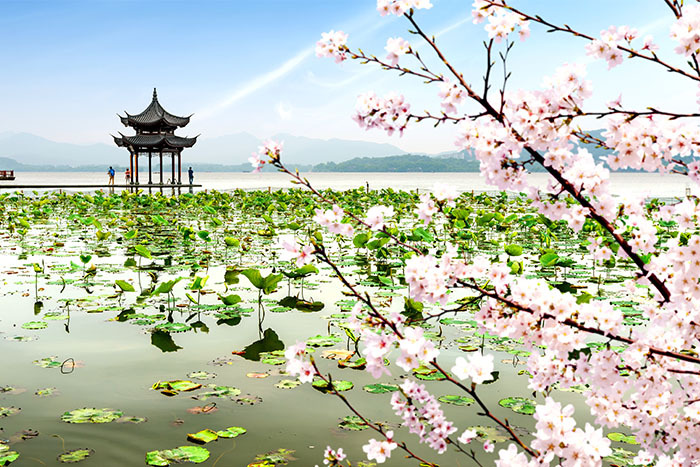 From Beijing, follow the ancient Grand Canal waterway to its southern terminus Hangzhou which Marco Polo described as the ‘city of heaven’ and whose West Lake has been admired by poets and artists since the 9th century. There are islands, temples, pavilions, pagodas, gardens and arched bridges everywhere. Here’s the place for courtships where even honeymooners can relive the first blushes of love. We fell in love with the 4th-century temples in the lush embrace of tea plantations, bamboo groves and a gluttony of flora including fig, chestnut and magnolia trees. 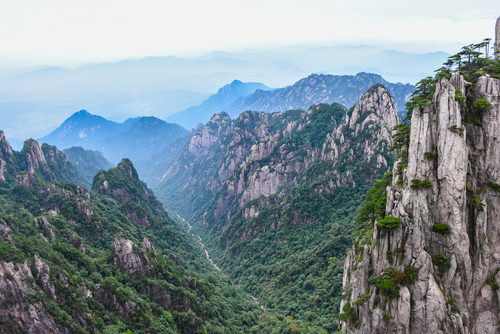 UNESCO World Heritage site Mount Huangshan, which should be your next stop, is immortalised in classic Chinese ink paintings and poems that capture its teetering granite peaks velveted in pines, its legendary sunrises and sunsets. Immerse in the phenomenal ‘sunrise known as Buddha’s Light on Mount Huangshan, scale the famed 100-step Cloud Ladder to the Jade Screen Peak past a 1,500-year-old pine, towards the Lotus Peak. On these dizzying heights, the clouds feel within your reach. The flora and wildlife are generous. Visit the Purple Cloud Peak hot springs and try their Fur Peak Tea. Ancient villages Xidi and Hongcun, both UNESCO World Heritage sites, are preserves of traditional Chinese villages of the Ming and Qing dynasties. 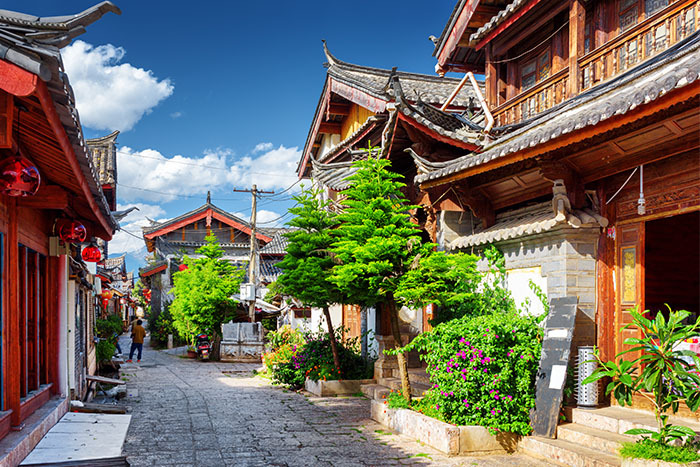 Go on a guided walking tour to Lucun whose 1,000-year history was established by the Lu family which after 33 generations still oversee the village. 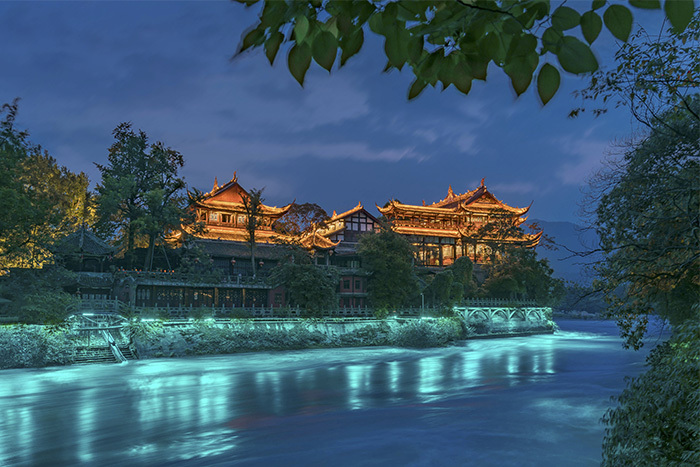 Then to the rarefied realms of Lijiang, the legendary Naxi Kingdom. One of China’s most picturesque destinations and aptly called the ‘Venice of the Orient’, this town of quaint cobblestone streets and canals arched with graceful bridges amid blooming gardens has been around since the 1300s. The central market square with shops and restaurants has no designer numbers but has lots of charm and a pageantry of age-old Naxi festivals. And the Black Dragon Pool offers fabled views of the Jade Dragon mountains. No, you won’t see a dragon, not even in China! But the Jade Dragon Snow Mountain range looks like a crouching dragon in a white fur coat gazing at the Moon Embracing Pavilion. Dujiangyan is another UNESCO World Heritage site cowering before the magnificent Qing Cheng Mountain, the perfect gateway to the historic Panda Valley – great for spotting the adorable furries. Near the birthplace of tai chi lies a Qing Dynasty Buddhist temple with its unique feng shui. There’s even a martial arts retreat that blends into the mountain range. 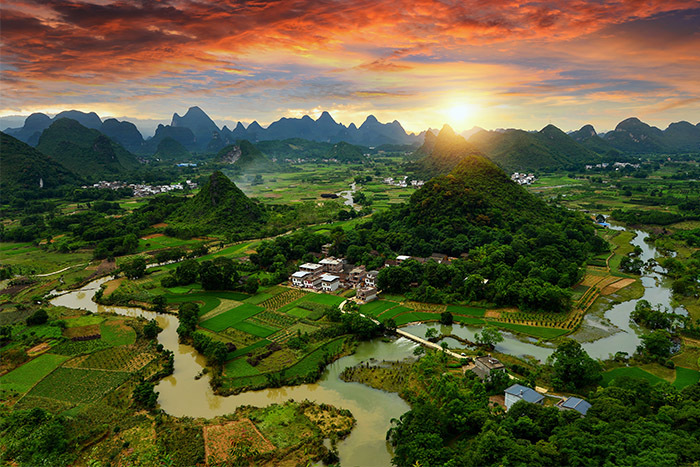 Travel to Yangshuo which is all about gleaming rice fields, limestone mountains, serpentine rivers, some underground ones too, and karst caves. Go down the River Li on a bamboo raft. For the best Yangshuo rice cakes head to West Street. 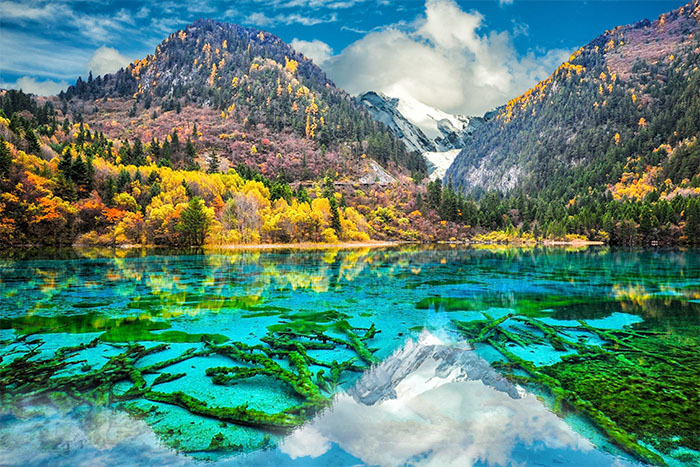 For something more remote Jiuzhaigou, a UNESCO World Heritage site and national nature reserve park, has a fairyland landscape of jagged alpine mountains soaring above coniferous forests and crystalline pools. More far-flung still with sky-piercing mountains, plummeting gorges, karst caves and spectacular foliage, veer into the Beibei district in Chongqing. There’s tranquillity and cultural charm. The curative waters of the region’s ancient northern hot spring is an added attraction.